MUNCIE, Ind. 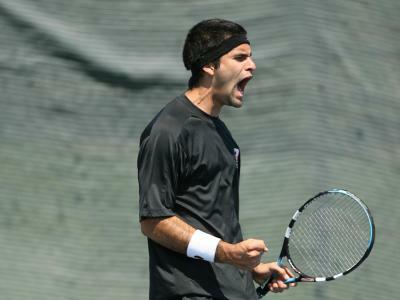 - The college player Jose Perdomo (Trujillo Alto, Puerto Rico/Colegio San Ignacio) of the Ball State University men's tennis team has been named Mid-American Conference Tennis Player of the Week. This is the second time in Perdomo's career to receive the award. Perdomo went undefeated in league play after winning back-to-back singles matches against Western Michigan and Buffalo. Perdomo took down Alex Birchmeier at No. 2 singles 6-3, 7-6 (7-4). The very next day, Perdomo captured the two set victory at No. 1 singles to give the Cardinals a 6-1 win over Buffalo. Perdomo also earned a win at No. 1 doubles against the Bulls. The Ball State University men's tennis team (10-12, 3-1 MAC) will close out regular season play in its last MAC match at home against Toledo. The match will begin at 1 p.m. at the Cardinal Creek Tennis Center Saturday, April 19, weather permitting.